The Department of Microsystems Engineering (University of Freiburg, Germany), has recently announced that it will lead a pan-European consortium of 7 research and industrial partners to develop an innovative platform for the manipulation and analysis of single living cells. The focus of the project will be the printing of such cells into confined micro-droplets as small as one tenth of a millimeter in diameter. The project is called PASCA – Platform for Advanced Single Cell Manipulation and Analysis – and is part of a research program funded by the European Union. The process of printing cells is a hot topic in biotechnology research, and relates to the “blasting” of single cells onto specific locations, very much like ink-jet printers do on paper. Such technology will be essential in the future for the manipulation, culture and analysis of individual living biological cells. 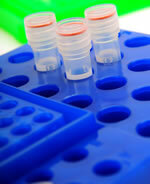 Until today, the handling of single cells has not been performed in a selective, isolated and systematic way. The innovative technology prototyped by PASCA will improve on current methods and will be applicable for cell biology, stem cell research, cancer research, drug development and the fabrication of artificial organs. Zurich Instruments, as the technology leader for the measurement of fast dynamic electrical signals, will contribute to the project with its unique impedance spectroscopy know-how. In particular, Zurich Instruments will supply its HF2IS 50 MHz Impedance Spectroscope to all research partners. With very high measurement speed, the HF2IS can detect very small variations in the electrical current between 2 electrodes immerged in a fluid, when a cell passes between the electrodes. The passing cell leaves a footprint that is captured by the HF2IS at several frequencies simultaneously, and that permits the characterization, analysis and recognition of the cell. The high frequency and speed of the HF2IS are unique to the instrument, and allow researchers to perform measurements at much faster rates than with previously available instrumentation. The Fast Fourier Transform (FFT) is an indispensable signal analysis method for any physics or engineering laboratory. It allows the calculation of the spectral energy density of a digitized signal over a wide frequency range. High sampling rates and high resolution, however, are cumbersome to compute due to the processing requirements involved. Furthermore, it is often the case that only a small part of the spectrum is of interest. Zoom FFT is the combination of a lock-in amplifier followed by a spectrum analyzer. This signal processing sequence reduces the required sampling rate for the signal of interest and narrows the window around a specific center frequency, also called the reference or carrier frequency. Hence, fewer samples need to be analyzed, but over a longer period of time, which increases the resolution of the FFT in the band of interest by several orders of magnitude. Zurich Instruments is now introducing Zoom FFT into its existing analysis software, and is the only manufacturer of lock-in amplifiers worldwide that provides this powerful feature. The usefulness and value of the integrated Zoom FFT tool are demonstrated by the fact that it replaces an external FFT analyzer, a box that can cost more than USD 10,000. The Zoom FFT tool also leads to simpler laboratory setups, with fewer boxes, fewer cables, less ground loops and less electromagnetic interference. The end of summer in the northern hemisphere will also bring an update to the HF2 software, with an important set of improvements. Most interestingly, a new powerful measurement tool has been added that supports Zoom FFT analysis (see the previous article for more information). Furthermore, USB data transfer has been optimized, providing an important increase in speed for all users wishing to perform fast measurements on 6 or 8 channels simultaneously. Finally, many small improvements have been made to the graphical user interface for increased usability. The look & feel of the graphical user interface has not changed, ensuring a smooth transition to the new version. All HF2 users are invited to migrate to the new software version. As always, the software updates from Zurich Instruments can be downloaded free of charge from the download center on the Zurich Instruments website. Both packages ziBase and the ziControl need to be updated. For customer support, please contact support@zhinst.com. How should I choose the input range for my input signal? The input front end of the HF2LI/HF2IS consists of a voltage amplifier stage to boost the input signal, followed by a 14 bit high-speed analog-to-digital converter (ADC) for digitalization. The gain of the voltage amplifier is set by the input range: the lower the input range, the higher the gain. For precise measurements, the amplifier gain should be as uniform as possible across the entire input range, a property called linearity. However, voltage amplifiers deviate from this ideal behavior when the input signals approach the input range. Therefore, for best linearity (i.e. low harmonic distortion), one should set the input range to at least twice the input peak voltage. On the other hand, for lowest noise measurements, the amplifier noise should contribute the least to the input signal. Furthermore, to achieve the highest measurement accuracy one should make use of the full ADC range. Therefore in this case, the range should be set as small as possible (maximum gain), while ensuring that the input signal does not exceed the input range. Furthermore, note that the HF2LI/HF2IS front-end electronics are optimized for best noise performance using the AC coupling setting. In conclusion: The input range allows the user to set the optimal gain for a given input signal. If the user desires the lowest harmonic distortion of the input signal, the range should be at least twice the amplitude of input voltage – this setting would be best for most users. However, if the user desires the lowest input noise, the range should be set close to the maximum input signal and AC coupling should be activated.